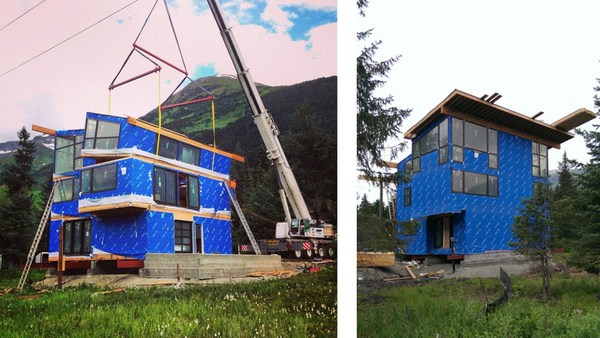 Prefab Home Process | What Goes Into Your Prefab Home? “Prefab”, short for prefabricated, refers to any structure that is constructed primarily off-site, in a factory, and shipped to the home site 80-95% complete. There are many styles of prefab homebuilding; our approach is to design your house as modular pieces that can be separated for highway transportation and stitched back together on site. 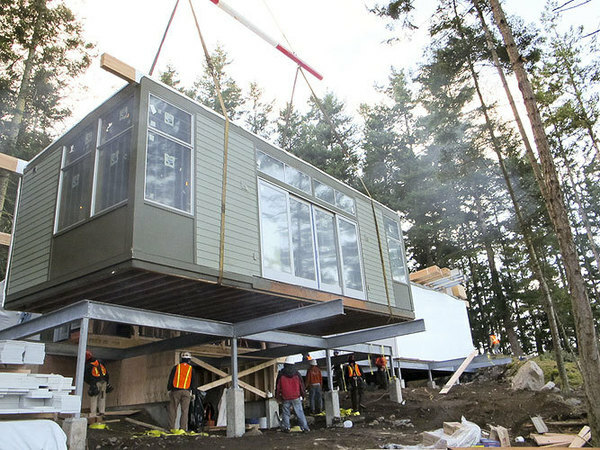 Prefab building can save time on any site, but on remote site or locations with reduced construction schedules, the savings from choosing prefab can be considerable. The average prefab home takes 3-4 months to construct in a factory and typically takes 2-8 weeks to finish once on site, depending on project complexity. Prefabrication minimizes on-site work, reducing high labor overhead and effectively shortening the construction schedule. Our prefab homes offer expedited construction without sacrificing quality and craftsmanship. What is the difference between custom vs. predesigned? Custom prefab refers to a custom home that is specifically designed to be built as a prefab home. The process is similar to designing any other custom home, with the only difference being the construction method used. Predesigned prefab refers to the line of homes that Prentiss + Balance + Wickline Architects designed for local prefab company Method Homes. The Prefab Cabin Series, Prefab SML Series, and expanded Prefab M Series models can be purchased through Method Homes directly. Contact them for feasibility and pricing. 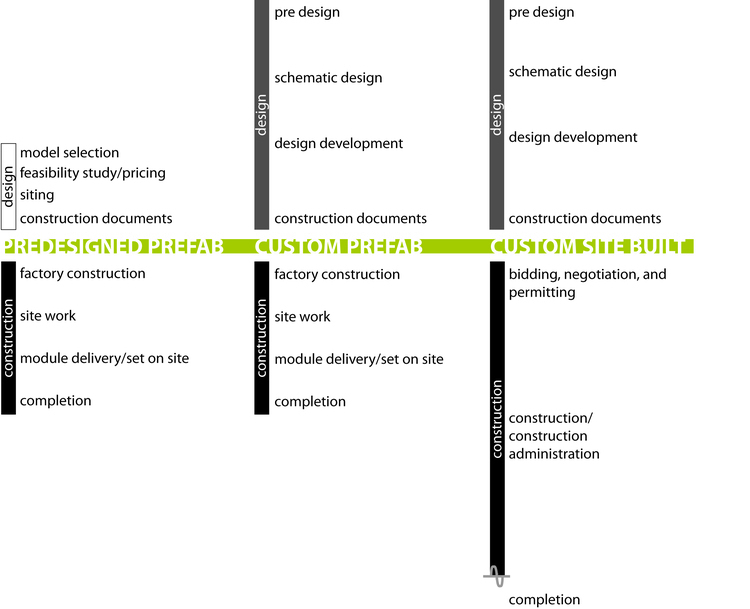 See diagram below for the differences in timeline between predesigned prefab, custom prefab, and custom site built homes. 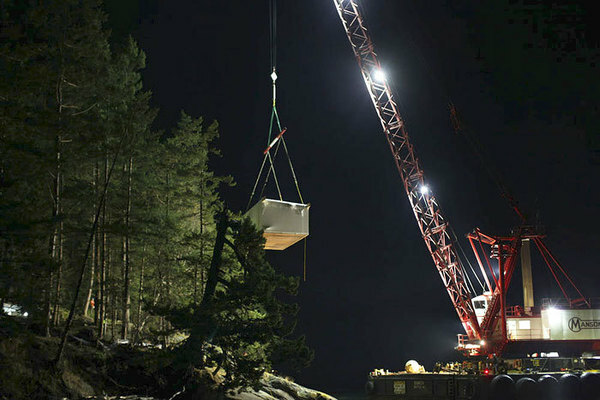 The benefits of prefab really shine on remote sites. In the Pacific Northwest in particular there are many islands which technically are buildable but practically can prove very difficult with traditional site built construction. Limited materials, lack of skilled labor availability and temperamental weather can elongate construction schedules which ultimately tend to add to overall construction costs. 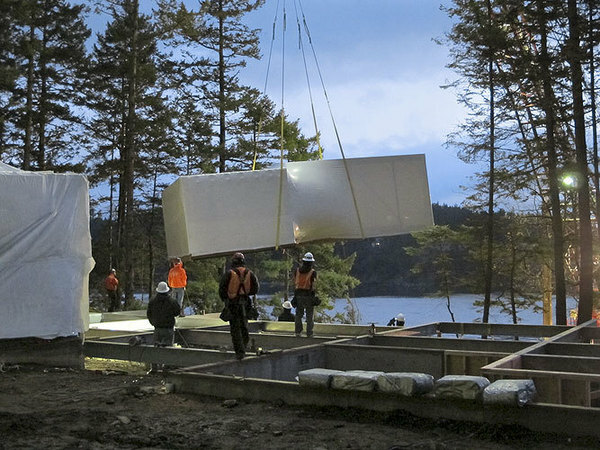 Prefabricated construction minimizes onsite work and high labor fees often associated with remote sites, offering expedited construction without sacrificing quality and craftsmanship. 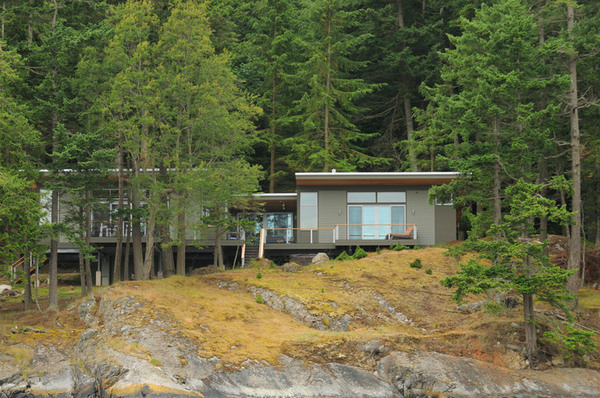 Why choose Prentiss + Balance + Wickline Architects prefab? Our extensive experience with both site built and prefab homes allows us to quickly assess the best option for your project. When prefab is the best option, we can help you determine whether one of our predesigned models can meet your needs or if a custom prefab home would be better suited. The primary difference between our predesigned models and a custom prefab project is the ability to vary the design specifically for site and distinct program requirements. With a custom designed prefab home, the only limitations are maximum module sizes and the site accessibility. However, if your project is budget driven you may consider one of our predesigned models. With this option you select from existing plans, therefore reducing design time and fees.